Will EU attacks on e-cigs affect the vaper vote? If so, what specific issues would affect how people voted? As we think the opinions of vapers are often ignored, we decided to ask 1200 vapers. Check out all our infographics here. As an e-cig blogger, I try not to take a stance on anything political outside vaping. But there are at least two and a half million vapers in the UK, and their rights and opinions are often ignored. 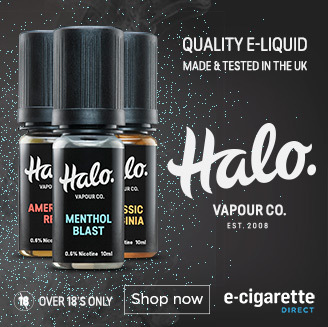 The aim of this post is not to express an opinion on whether we should leave the EU, but to highlight the opinions of vapers – and the anger they feel at attacks on vaping. During the survey 297 vapers left comments. 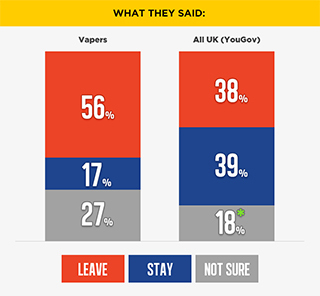 And while the results clearly show informed vapers are more likely to vote for Brexit, this was far from the consensus! I’m aware of the above but my decision to ‘stay’ is more important. I would need to pay more for e cigs or do without them! I was in the undecided camp with regard to the EU referendum. When the EU decided to cobble together article 20 as part of the TPD that was the clincher for me. I am out. This attack on vaping tells us all we need to know about the E.U. Bought and sold by big tobacco /pharma as the gravy train rolls on !! It was inevitable that this corrupt, arrogant, incompetent and undemocratic shambles of an ‘organisation’ would get its snout in the trough of e-cigs. No guarantee this government wouldn’t follow suit whether we are in or out the Euro. When the TPD comes in to full effect I will be well versed and educated in making coils and my own juice so that I won’t have to pay the inflated prices and go back to the ego style ecigs. We also wanted to find out what experts thought. All of the following have either been involved in the EU Vape debate, or have deep insights into the e-cigarette industry. I know feelings are strong and I suspect useless EU regulation and threatened taxes will affect how vapers vote. But I think voting to leave for these reasons would be a mistake. The UK will have a veto on any tax measures, and even if we leave the EU, any realistic “Brexit” scenario will involve complying with EU single market regulation, such as the Tobacco Products Directive, so we can retain unfettered access to the EU single market. How does having to comply, but having no say in implementation and subsequent revisions help any vaper or vaping business in the UK? We would be even more at the mercy of European posturing on these issues. See longer discussion at: Brexit: utopia, dystopia or PONCE? At the moment, there’s no official data as to whether vapers are more likely to vote one or the other. However, EU regulations are likely to have a huge effect on the industry. Vapers should look very closely at the EU Tobacco Products Directive, which could potentially have a huge impact on the life-saving potential of e-cigarettes. Of course, vapers will have to look at the whole range of issues, and decide which are most important to them, whether its trade, subsidies, vaping or other issues. They also need to look at the balance of risks, the effect on their everyday lives and whether the EU really has their best interests at heart. I think there is an element of the UK vaping community who will be motivated to vote for Brexit because of TPD, and the restrictions it will bring. But the question for me is the scale of that vote. How many of the UK’s 2m regular vapers will be incentivised to vote Leave who were not otherwise going to? Bearing in mind that its much more likely that most of the vapers in the UK know very little, if anything, about TPD. I think in fact the numbers do not add up to a convincing “move the dial” number, but I guess if it comes very close, then everything counts! 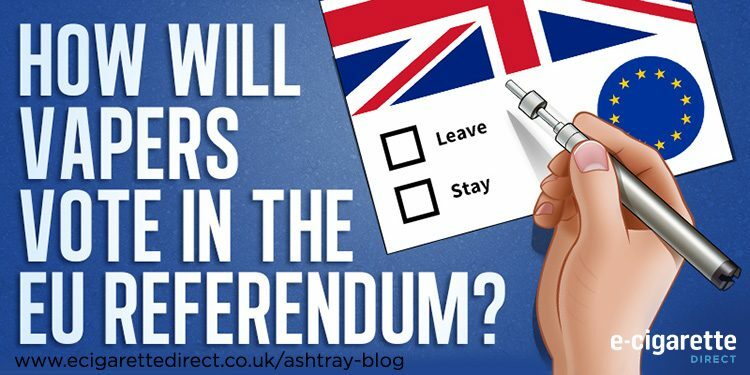 There is a genuine debate among Britain’s two million vaping voters about whether or not to support Brexit. But just as interesting is to work out whether the threat of their being a decisive force in the referendum has been behind the extraordinary flexiblity being shown by the MHRA implementing the TPD. We do know that the Commission wrote to the British government to express its fears about vaping being a Brexit issue. Those fears – along with the support of senior scientists for vaping – have been behind the sea-change in the MHRA’s approach. From my unscientific social media observations: almost all vapers who are aware of the TPD will vote to leave. Favourite products are already disappearing from the shelves and discussions about the upcoming regulations and taxes are no longer confined to the social media advocacy groups: vapers are waking up. The drafting of the TPD into law revealed the worst of the EU – many take that as an indication that it is corrupt and undemocratic to the core, not just for this single issue. There’s little doubt that the EU’s well publicised attacks on vaping have influenced the vaper vote. The question is, how many vapers are aware of looming EU restrictions on e-cigarettes? But with EU E-Cig regulations coming in just before the final vote on the EU, it’s going to be an interesting few weeks. If you found this infographic interesting, I’d love it if you take a second to share using one of the buttons below. Survey: How will EU attacks on vaping affect your vote? If the TPD was corrupted by Big pharma and Big tobacco across the 28 countries of the E.U, do people think it would be easier or harder to influence/corrupt one single country and one governed by a Conservative government that is usually helpful to any big companies/industries with cash and dubious lobbying skills. Whether people believe they should be in or out of the E.U, will make no difference to the lobbying power of Big pharma and tobacco.